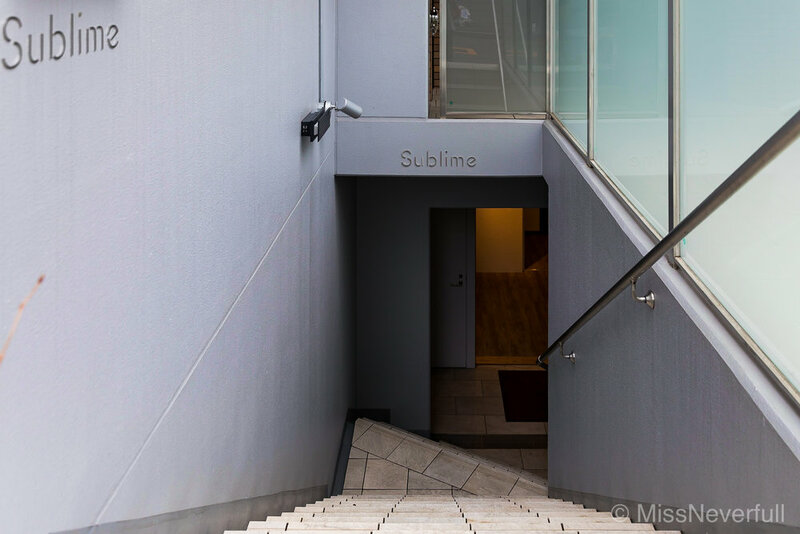 Sublime is an innovative restaurant located in Shinbashi area in Tokyo which focuses on Nordic-French cuisine. The owner-chef Junichi Kato was previously trained at L'astrance in Paris, AOC and Hotel d'Angleterre Marchal before the opening of Sublime in late 2015. With Sublime, Chef Junichi Kato focuses on serving Nordic-French fusion cuisine by using local ingredients. His effort was granted by Michelin one star in 2017. The restaurant used to located in the basement of an office building in Shinbashi when i visited there in Feb 2017. Since August, it has been relocated to Azabu-juban. I missed my food trip to Copenhagen in late 2016, the healthy gastronomy food was a trigger of my visit to Sublime. The meal started with two bites of amuse bouche which were good but nothing to shout out. Followed by two breads including Geranium's nut and seed bread. I expected a lot on the sourdough as the quality of bread service in Japan is always worth-mentioning, let alone this is a modern nordic restaurant where suppose to serve equally, if not, more delicious breads. Unfortunately the sourdough was dry and the surface was too hard even for hard breads (French breads) lover like me. The first dish was a soup of fermented mushrooms for three weeks, inside, there's a perfectly-cooked soft-boiled egg underneath layers of sliced mushrooms. The soup was too salty while the raw mushroom on the top was totally unseasoned. i found the dish a bit awkward and imbalanced. It reminds of Geranium's signature hake dish with buttermilk sauce when the second dish arrived. 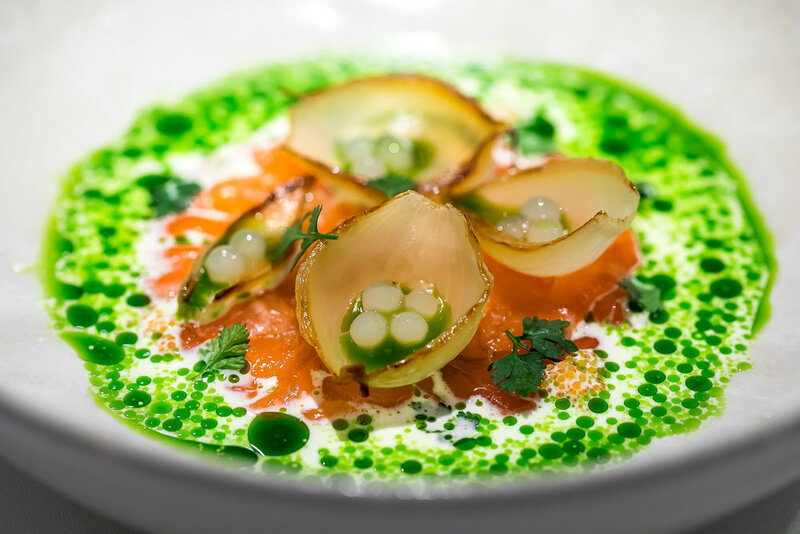 Instead, the chef uses cured salmon and pickled onions for this beautiful dish. Taste wise, the high-flavor of salmon works well with the delicious buttermilk sauce. This was my favorite dish of the meal. The main courses (both the fish and meat course) were however, disappointing. The fish was dry and the duck was undercooked - it was so tough that i seriously cannot swallow the entire flesh. This is one of the very few times that i counln't finish a dish since i started fine dine. After two disappionting dishes, i had a quite nice dessert of diced careamelized-apple with milk tea mousse. The mousse was airy and light to contrast the crunchy almond on the top. Most dishes i had throughout the meal were obviously disappointing. For foodies who have had travel to Scandinavian to eat, i suggest you not to waste time in exploring better cuisines in Japan. If you mean to have Nordic cuisine using Japanese ingredients, or just to give Japanese-Nordic cuisine a try, then Sublime is one of your choices.